Embark on a culinary tour from Italy to Lebanon without leaving Old Town Saginaw. When the revitalization of Saginaw jumpstarted in 2012, Gino Vicci, owner of Sandweesh Mediterranean Grille and former WNEM TV-5 reporter, knew he wanted to be a part of the transformation. After analyzing market research and studying the demographics of the area, Vicci began to develop a restaurant concept that would bring something just a little bit different to South Michigan Avenue. 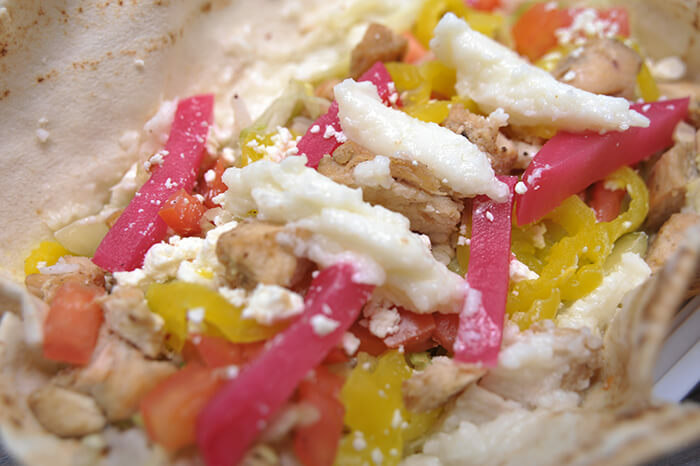 Sandweesh Mediterranean Grille combines the flavors from Vicci’s own Greek heritage with the flavors from his wife’s Lebanese roots. In fact, it was his wife’s recipes and culinary talent that inspired the focus of the restaurant on Mediterranean-style cuisine. From pitas to hummus to shawarma wraps, guests customize their meals from options that might not be what they are expecting. Set up in a fast-casual format, Sandweesh’s friendly staff assembles restaurant-goers’ choices into a pita wrap, salad, or bowl of rice, each for $7.99. The menu includes a selection of chicken shawarma, lamb or beef shawarma, or falafel—a classic Israeli and Lebanese street food. 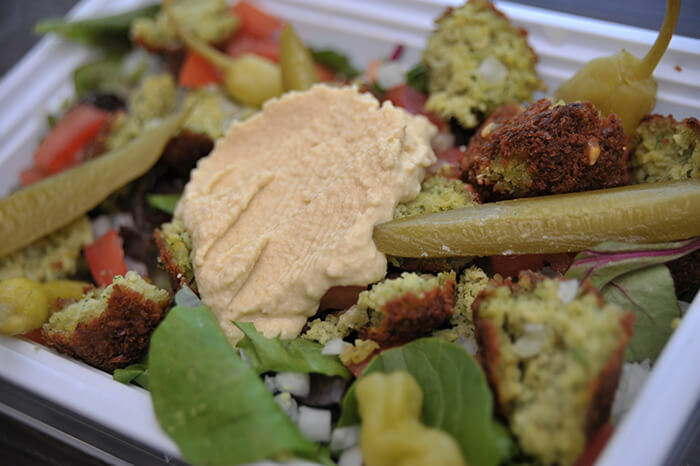 Sandweesh’s falafel is a lightly fried fritter of mashed chickpeas, lentils, onions, bread crumbs, and seasonings. “The popularity of the falafel has exceeded our expectations,” Vicci says. 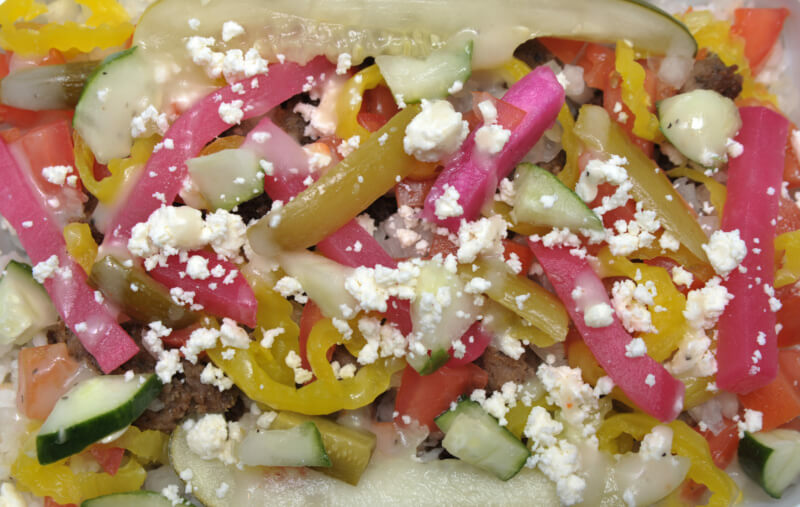 The dish runs “a close second to the lamb gyro,” he adds. The lamb is halal, which describes foods allowed under Islamic dietary laws. Halal includes using only steroid-, antibiotic-, and pesticide-free meat. The lamb is slow-roasted on a spit and shaved to order. Customers’ creations are finished with any number of condiments—some traditional and a few Americanized options. Toppings include onion, tomato, and cucumber. Sauces range from tzatziki, a cool and refreshing yogurt-cucumber blend, to Mediterranean vinaigrette, a light oil and vinegar mixture with a hint of garlic, pepper, and other spices. 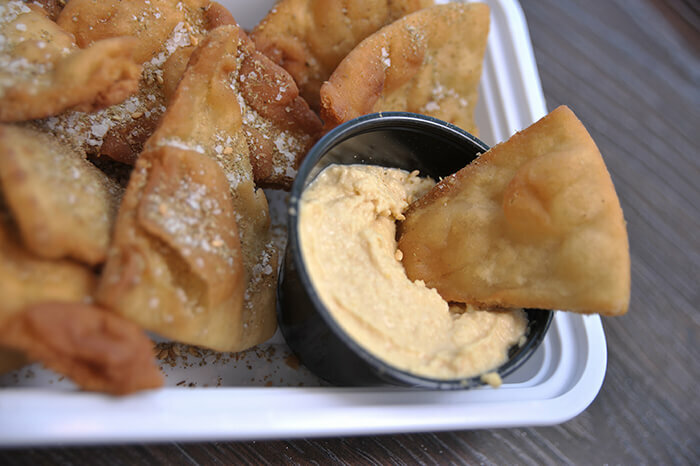 Even more popular than the wraps, bowls, and salads has been the warm, soft, and lightly salted pita chips, served with house-made hummus—a Middle Eastern favorite blended perfectly with chickpeas and just the right amount of tahini, olive oil, lemon juice, and seasoning—or garlic dip, a creamy Sandweesh original. Add either accompaniment to an order for $2.50. Whether you’re already a fan of foods found from the tip of Western Europe to the edge of the Middle East, or you’re looking for an accessible introduction that combines the traditional with the familiar, step into Sandweesh for a gastronomic journey along the coast of the Mediterranean Sea. Sandweesh Mediterranean Grille, 220 S Michigan Ave, Saginaw; 989-401-1895, www.sandweesh.com. Hours: Monday – Friday (11 a.m. – 9 p.m.), Saturday (12 – 8 p.m.), and Sunday (12 – 6 p.m.).